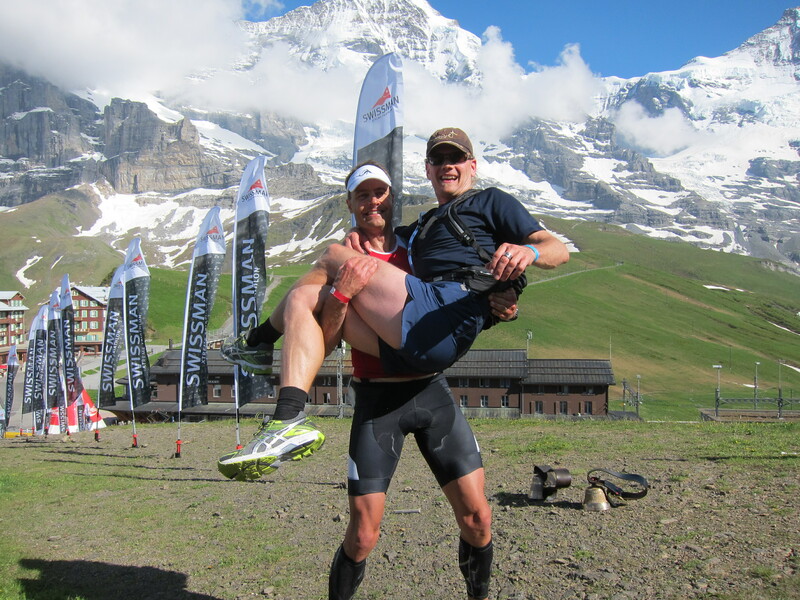 The goal was top 5 in Swissman Extreme Triathlon, and I and my support runner delivered a fourth place. 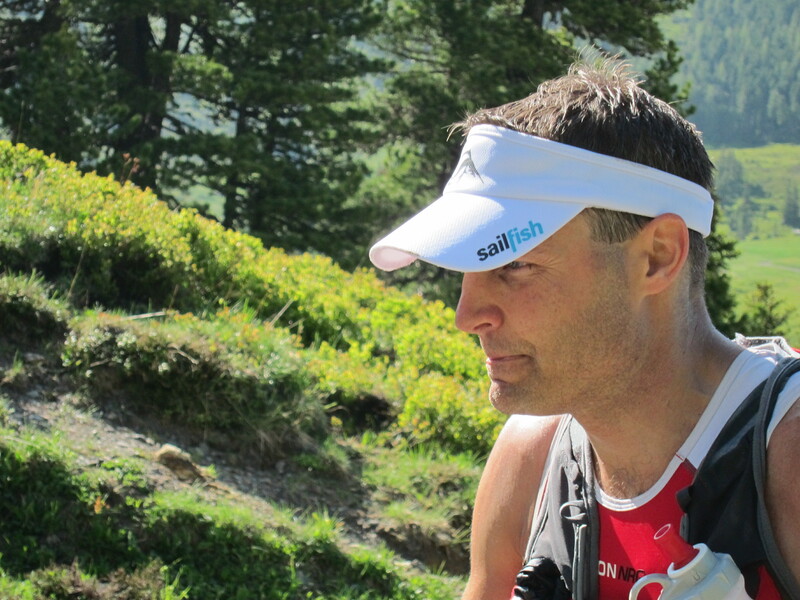 My long term objective was top 5, and I did 4th on Celtman Extreme Triathlon last year. 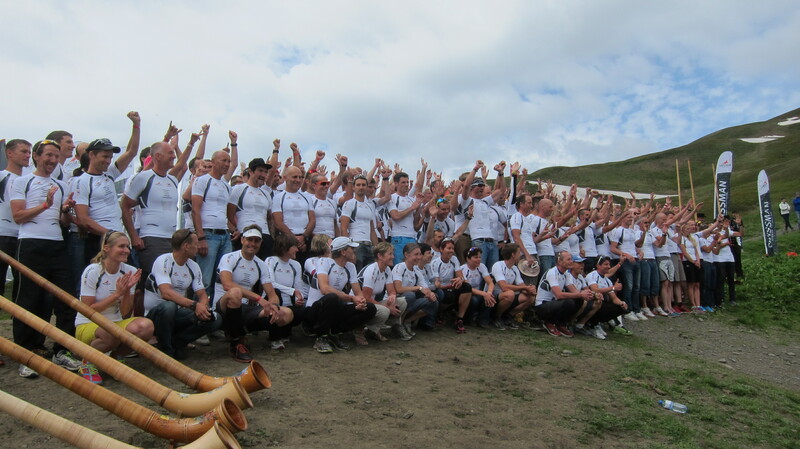 Norseman coming up this August, and clearly it’ll be a challence to meet the goals also there. 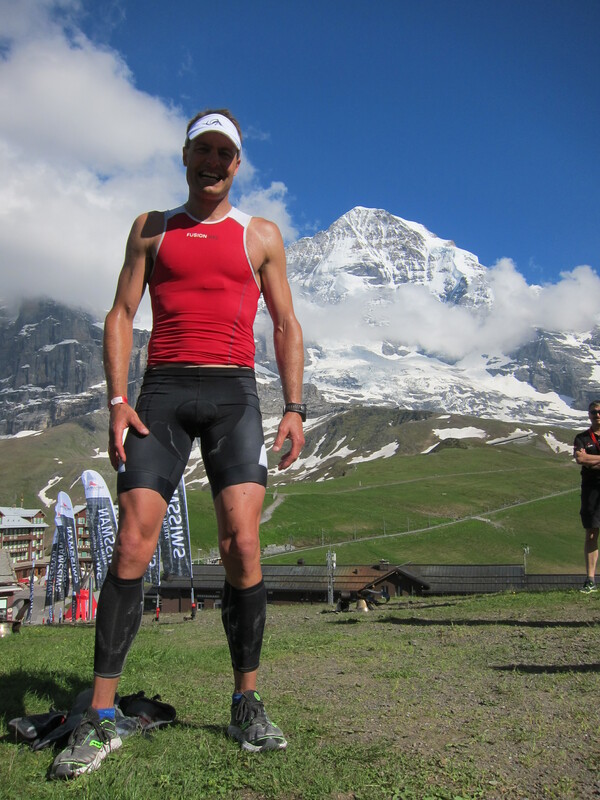 It was a hard day at work, I the Swissman Extreme Triathlon is the hardest Ironman distance triathlon that I know, but at the same time probably the absolute most scenic. 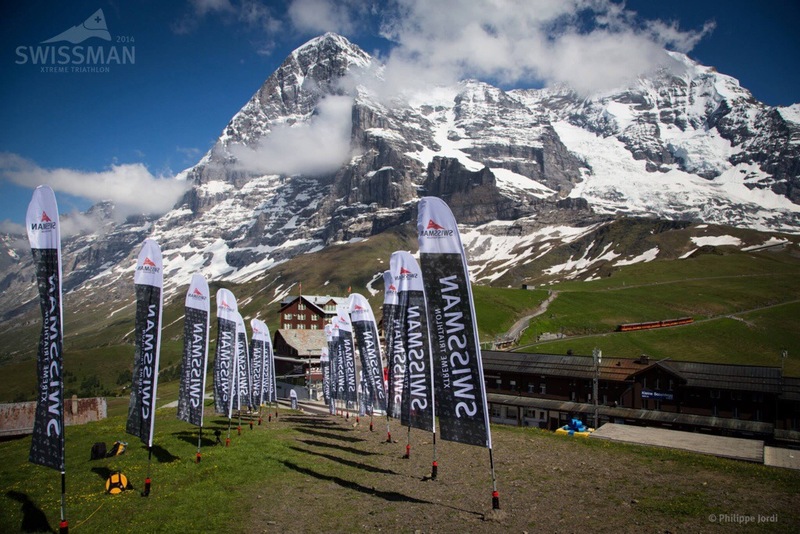 The course is in the picturesque and extreme Switzerland. 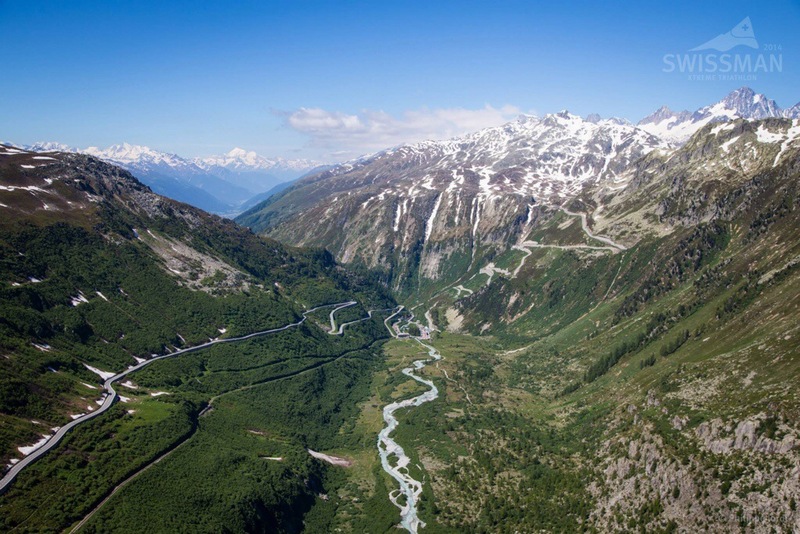 Starting in the Italian side in beautiful Ascona, and the bike is laid out over the three highest and (in)famous mountain passes, St Gotthard, Furkapass and Grimselpass. 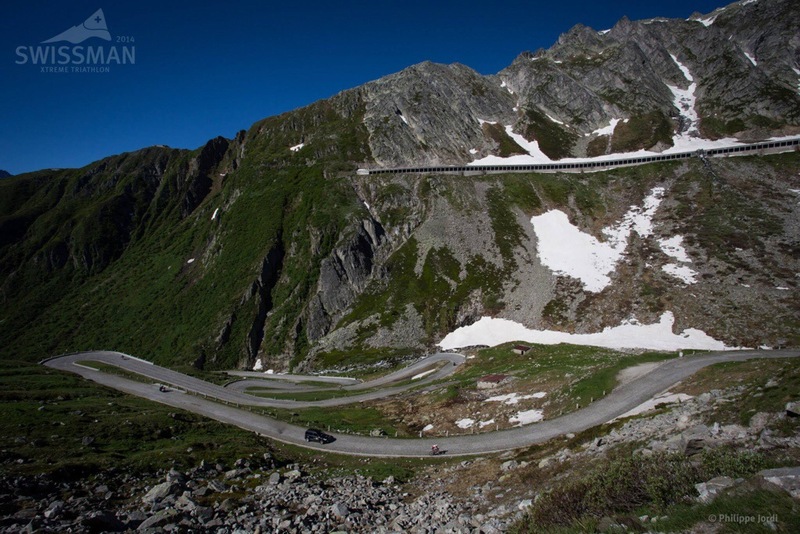 They are all over 2100 meters and the Furka is almost 2500 meters high. All in all it is 4000 meters of accumulated height meters on the bike. 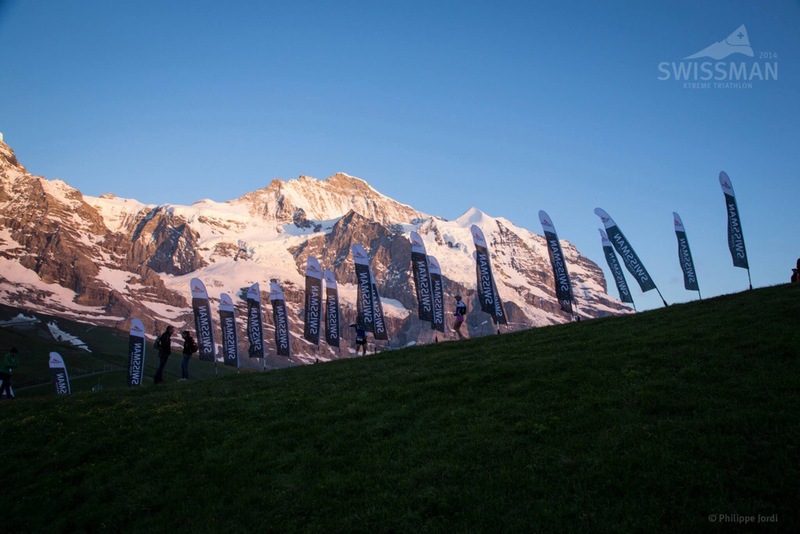 The run is magnificent, laid out so the athletes run under Giessbachen waterfalls, around lake Interlaken and the extreme and final climb up to Kleine Scheidegg, close to the highest mountain in Switzerland, and ending well above 2000 meters. 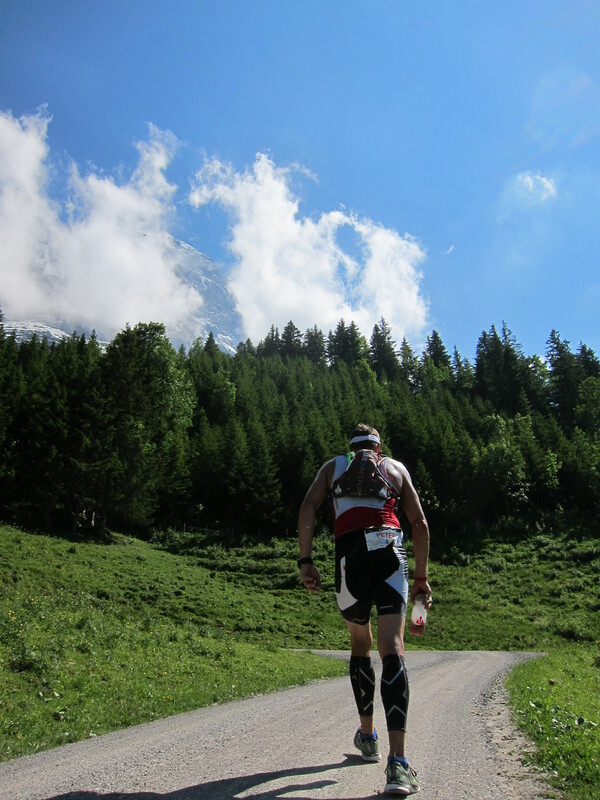 The “run” accumulates about 1500 meters of altitude gain. But lets start from the beginning. As many of you remember, I also took the fourth place in Celtman Extreme Triathlon last year (and what do you believe my lofty goal for Norseman in August will be? ), but I hurt my foot severely. It took me 9 months of recovery. During the spring, I have been training quite OK, but not entirely satisfied. I have felt OK when running, despite lack of continuous training. some key training sessions include a 30 k hilly run at 4.08 pace. The swimming has been on and off, and I have received some great coaching by Coach AK Simcoachen, much appreciated. The biking has been ok to start with, and I felt like superman during the Easter weekend, but since then I almost felt I became weaker on the bike. When I was at a combined vacation and training camp in Chianti 2 weeks ago, my crankset broke, and i had to replace a lot of the hill bike training with running, which was very disappointing. But all in all, I felt OK but unsure of my fitness level. 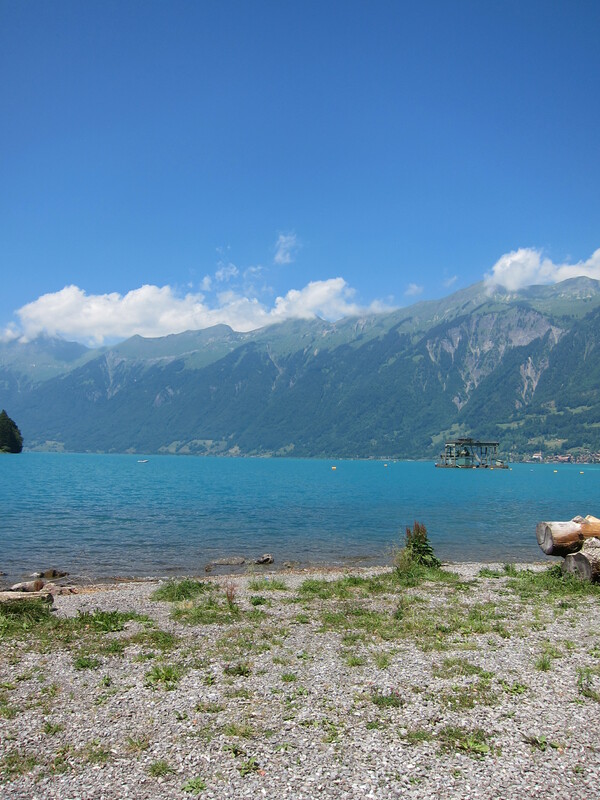 When traveling to Switzerland I arrived OK, but my luggage didnt. Fortunately, I had a spare day or so, and the luggage including the bike arrived eventually. 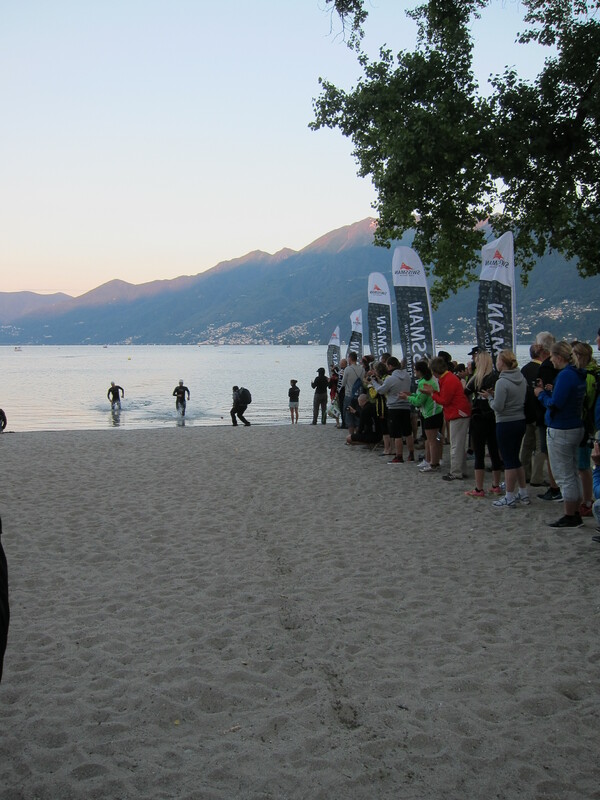 I came down to Ascona with my 2 great friends A and P plus our supporters, my supporter Stefan, who is a new friend had never ever seen a triathlon, much less supported one. But he is by no means inexperienced in endurance competitions, or what do you say about 12 marathons plus 12 ultramarathons (average 120k) during last year….? 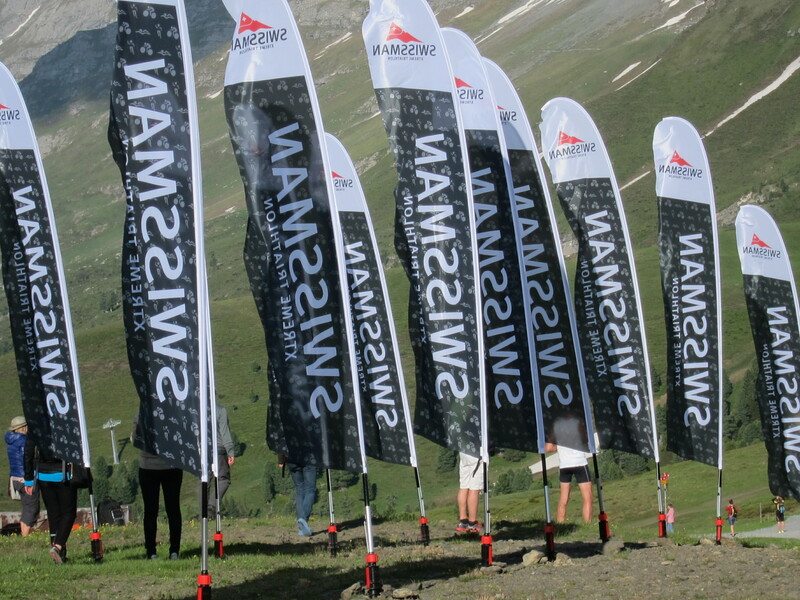 In an event like Swissman you are required to have a supportrunner during some parts of the run, and as the bike ride is unsupported by the organization, the supporter needs to put up temporary support stations on all critical places. 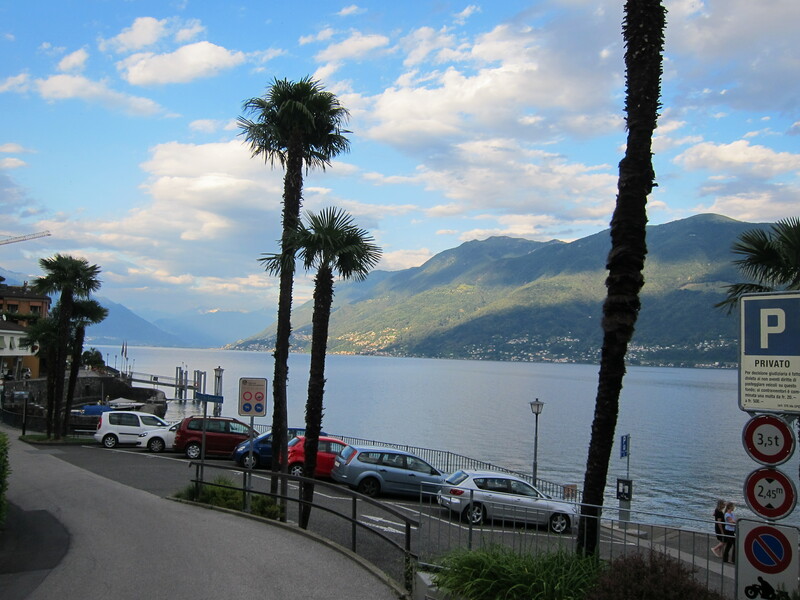 Ascona is beautiful and very nice city. The prerece meeting was standard, but as often before, I got a bit unsure of my capability – there were so many stong athletes there. I did a short test of the bike, and despite the delay, everything worked smoothly. My rig for the event was my BH G6 road bike, with clip on aerobars. I didn’t take my Zipp, but used Dura ace c35 carbon wheels instead. 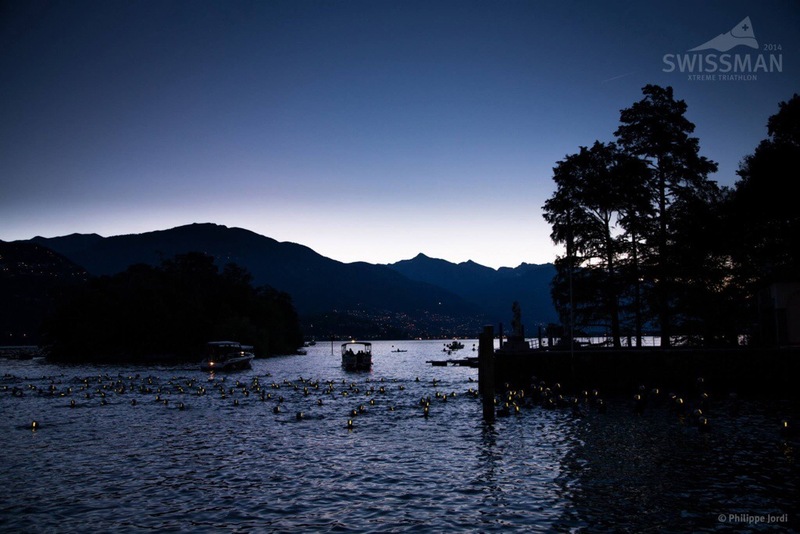 The Water in Lake Maggiore is very pleasant, and about 21 degrees. I had tested the water in a 3 k swim the evening before the prerace meeting. I was staying together with my friend and our support runners the night before the big day. But the hotel that I had booked was not very appropriate. During the day I realized that the only way to get to this particular hotel was by cable car, there were no roads to the hotel. 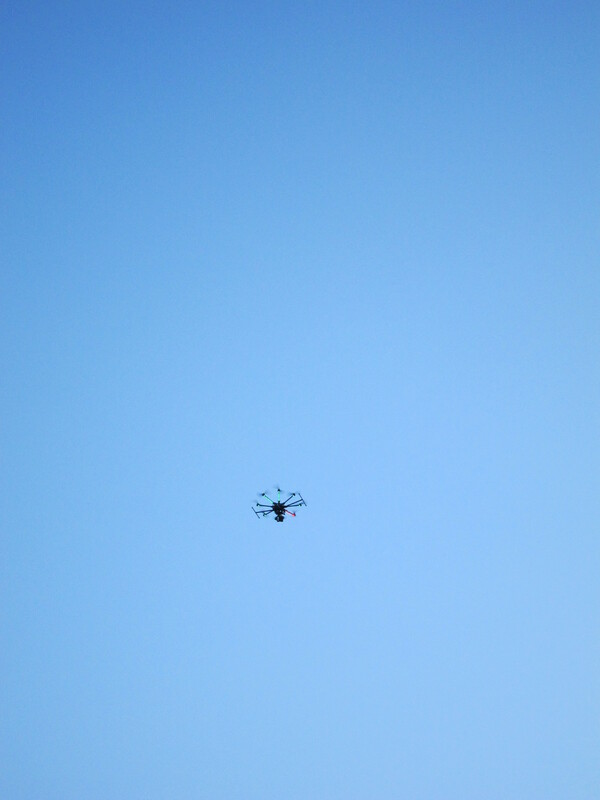 And by such, there would be no possibility to get down to the start… So the only chance was to find a new hotel nearby. 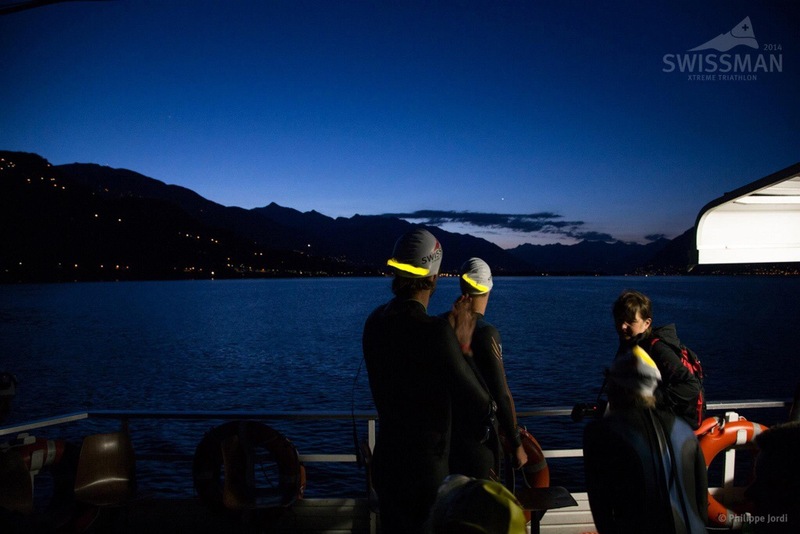 I even got to relax enough on the short boat ride that I slept for a couple of minutes – a gift I was born with J We went into the warm water, and it was a great sight with 250 lights entering in the relatively calm water. I swam up to the front of the pack, and just when I got there, the countdown started, I almost missed the first wave! The swim was great! I have been training some TI during the spring and I tried to relax. I found a pair of feet to draft behind and for the first time it worked OK. In the beginning I was almost struggling, but after a while, it was perfect. IN the middle of the swim, I could look around, and it actually seemed that we were number 1 and 2 in the swim! But nearing the end, there was someone else coming in from the far right, and as my companion had slowed down, I passed him and left him behind. I exited the water just a second after the other swimmer from the right, believing I was second! But later I learned that there had been 2 faster swimmers a minute before. 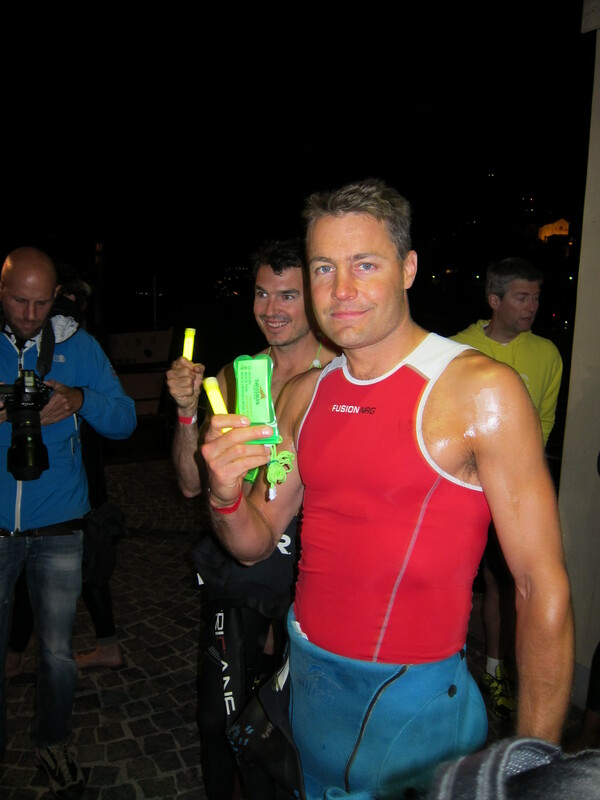 Nevertheless, I was quite happy to complete this ironman swim in fourth place at 54 minutes. The T2 was fast. I have never understood the rationale to take longer time just because it’s an Extreme triathlon, but I experienced the same thing in Celtman. I was on the bike quite fast, the only special luxury this time was that I took on a pair of socks, as it could become very cold on the downhills in the alps. I went off with the bike, and after some trouble to find the way in Locarno, I and 3 other guys found the same pace. We were number 1-4. Felt great. I tried to drink some, but I have some difficulties with this, as I have often overeaten the breakfast. It was undulating, but still relatively flat the first 55 or so kilometers, but then it started to get steeper. Quickly, I found myself from being quite OK to not OK with the pace. I have to say, that the swiss, Italian and some german guys surely can ride in the mountains. And I cant. However it was a beautiful day and the environment was stunning. 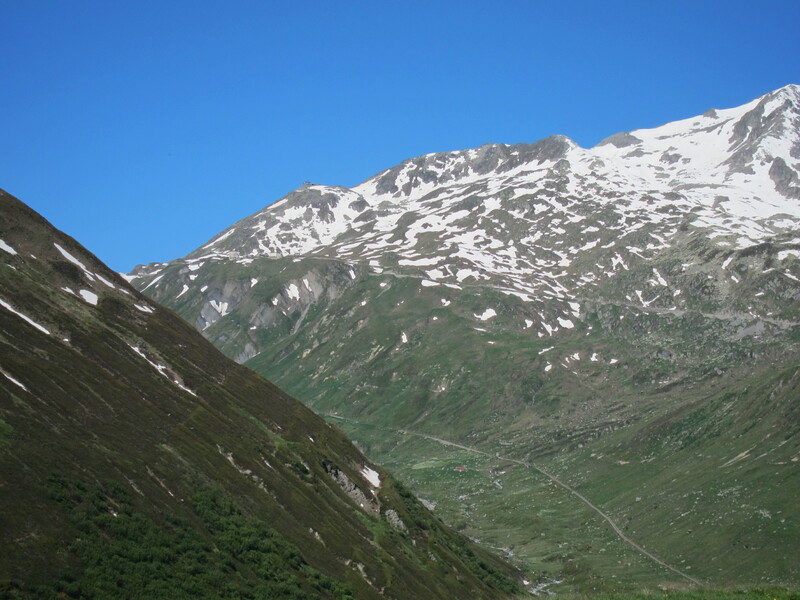 I was now alone and biked up to Airolo, and then up towards Tremola. This part would become a real torture. 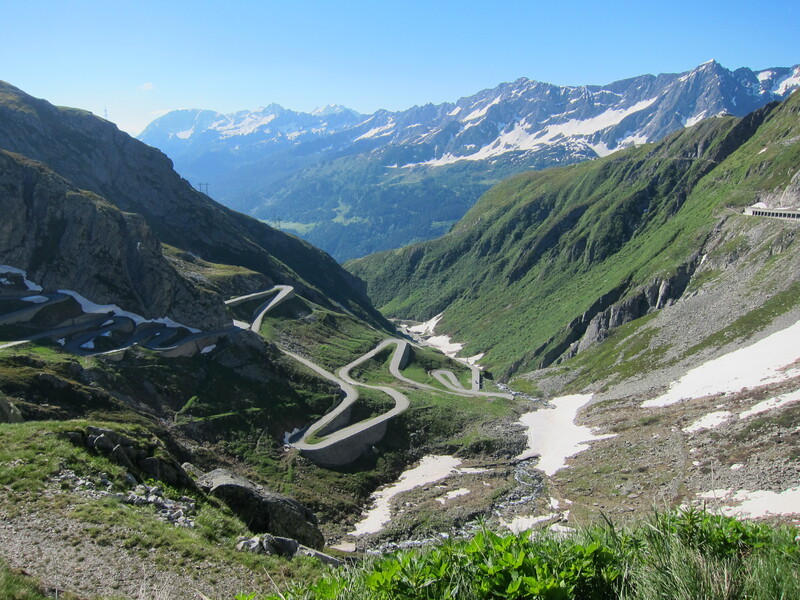 The first pass goes up to St Gotthard at 2100 meters. It is very steep. But the main problem is the pave, the cobblestones that almost put the bike to a halt. During this parts, I averaged 12 km/h during 10 k. I was using first gear and couldn’t almost power myself up. But it surely was beautiful. At this point I was passed by one or 2 guys, and felt that the day maybe wouldn’t be so great anyway. 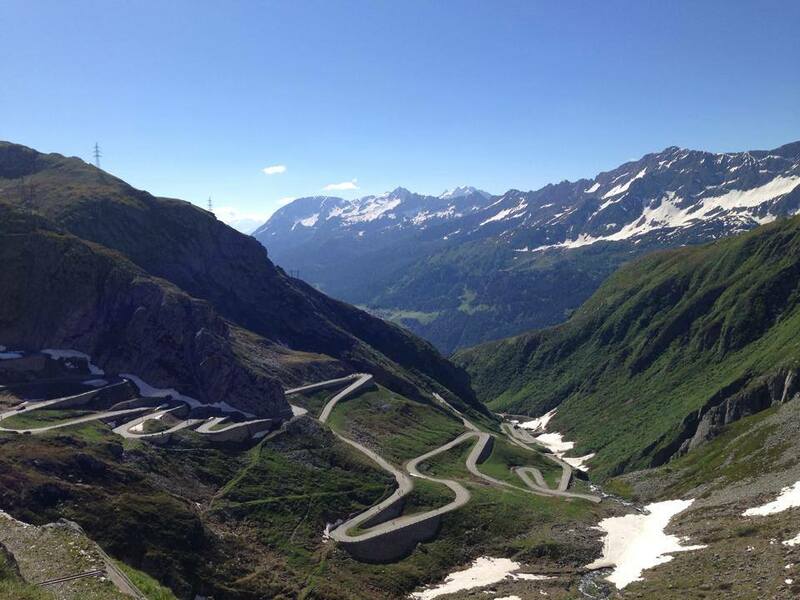 But eventually I got up to St Gotthard, and I was met by Stefan. Finally. 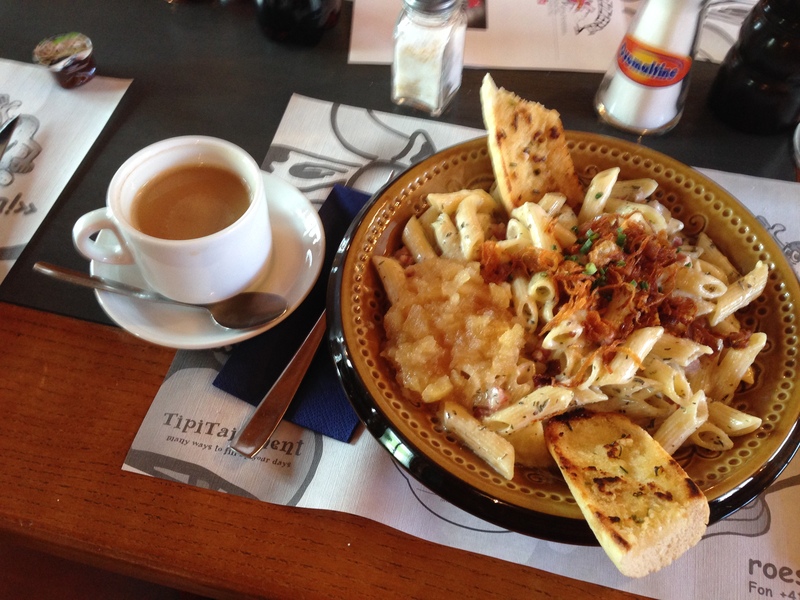 I hadn’t been able to eat or drink during the steep roads, as I was going so hard. I took some gels from Stefan, but declined to take on any extra clothes. I just pulled on my arm warmers. I had no idea if this would be sufficient in the cold downhill, but it was cold, but totally OK. The downhill was fast. Very fast. There was no chance I would check my watch, but after the ride I saw that I had been speeding up to 82 km/h. Its easy to overtake the cars in this case, but quite challenging to take in fluids and gels – but works if you are fast. During one of the downhill rides, I averaged 67 km/h for 10 km. Unfortunately I don’t have data for the whole race (but from the bike), as my Garmin file must have become corrupted. So the ride down was over almost before it started. 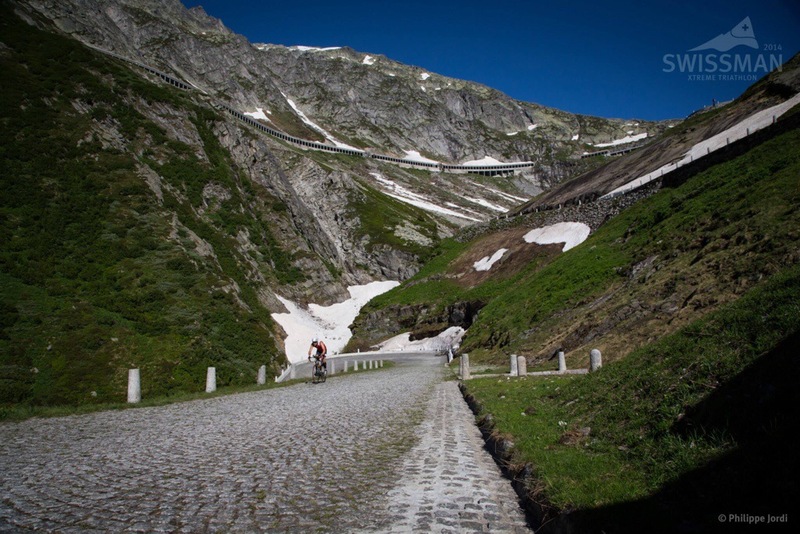 Directly the next climb started, this time up to Furkapass, 2500 meters above sea level. Also on this very long climb I lost 1-2 positions, but worse was that I started to get some cramps in my thigh. 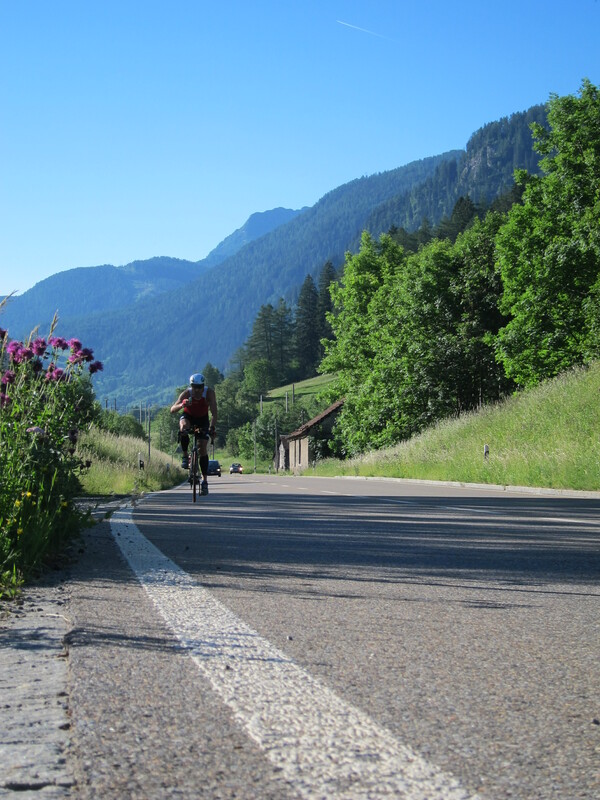 This is ok on a normal bike ride, as you can stretch on downhills, but if you are in a 40 k long uphill part, it is impossible to stretch if you don’t want to stop completely. But I barely made the climb without collapsing of the cramps. Yet another really really fast downhill ride, fantastic scenic mountains, and then there was the third climb up to the Grimselpass, 2100 meters. Same thing – even worse cramps and 1-2 guys passed me. I learned here that I was in 8th position after surviving the mountains. I was OK with that, but understood it could be difficult to reach the goal of top 5. 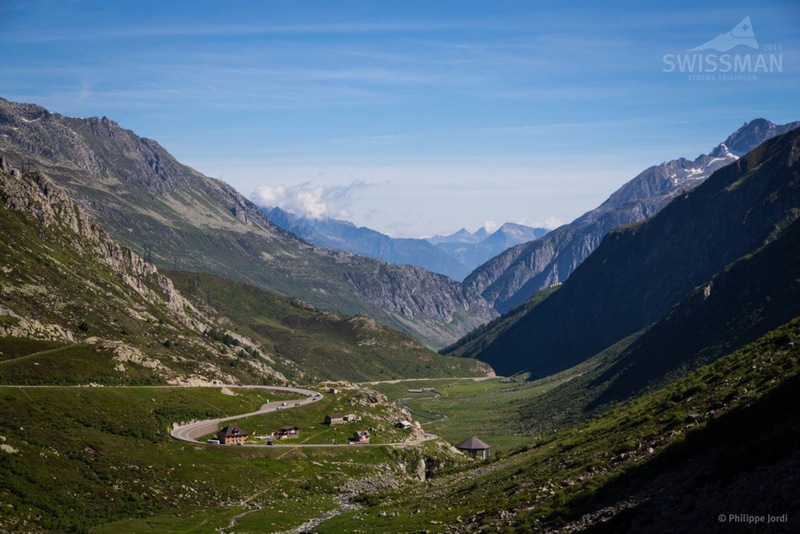 The downhill from Grimsel is from 2100 down to 700 – it really never ended. We passed through some tunnels on the way down which was somewhat scary. The last part is flat, but in my case I was completely alone and there was a relatively hard headwind. But powering on, the T2 got closer. Eventually I got there to T2 (just a minute after my supporter, who was slower with the car on the decents), after 6 hours 46 minutes of riding. A tough one. I jumped out of my shoes and was running triathlon style the last 100 meters in T2 to my spot – byt the ground was all very sharp stones!! I couldn’t walk on them!! But very angry I got to my shoes and got the help I needed from Stefan. What a great guy. 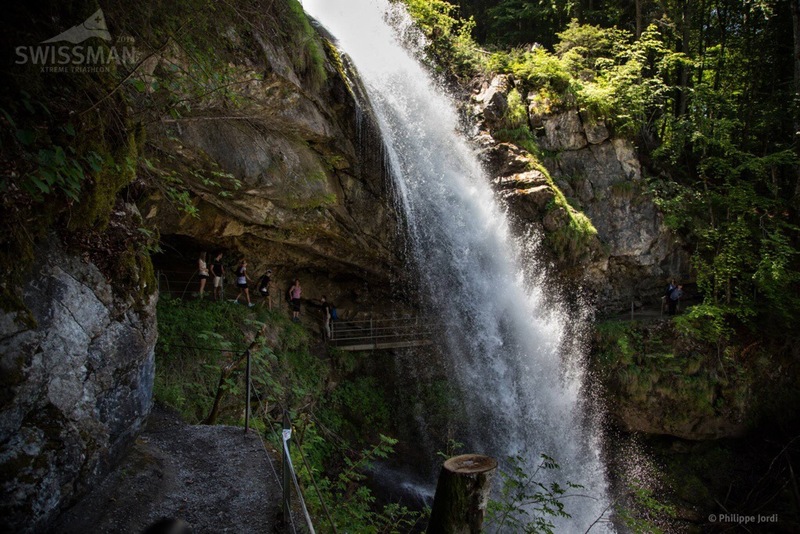 I started the run, which begins with a steep hill up to Giessbach falls, very very nice waterfalls that you run under. I quickly passed one guy, and thought that the better you are on the bike, the worse you are on the run. That felt good. After 8 km I came to the first station. And just when I arrived my cramps exploded, but I still had to sit down to remove some stones from my shoes. It was very hard to get started again. 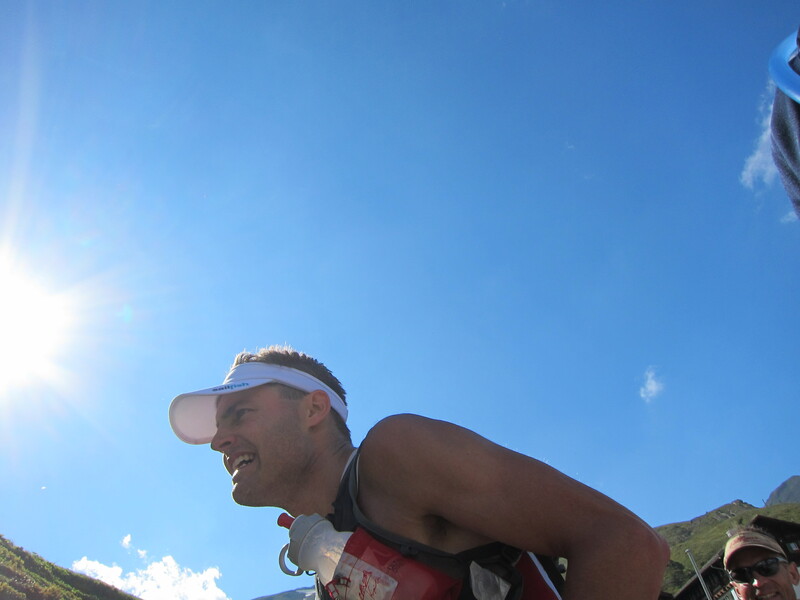 I had only a Perfecta bottle with coke and some gels with me on each leg of the run. It was difficult to start running again, but it became better and better. Soon I logged several 4.20-pace kilometers and passed yet another guy. 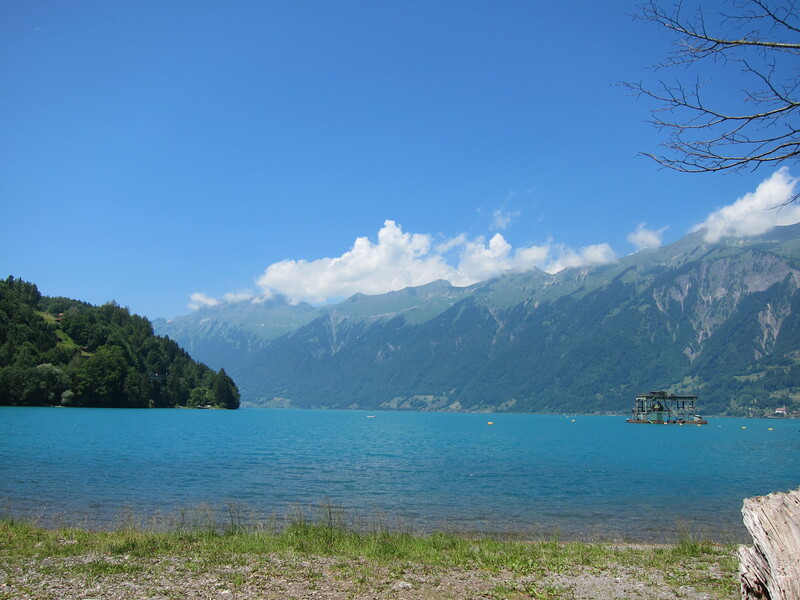 The run was along Interlaken – so beautiful that it almost hurts. But what was really hurting was the heat – it was very very warm. Whenever there was a pool of water (they have that in Switzerland for filling bottles etc), I immersed my head and wet my cap. The lake beside me looked so inviting and I almost jumed in for a second. But I kept going quite strongly, tried to force fluids and gel down. Passing yet another guy. 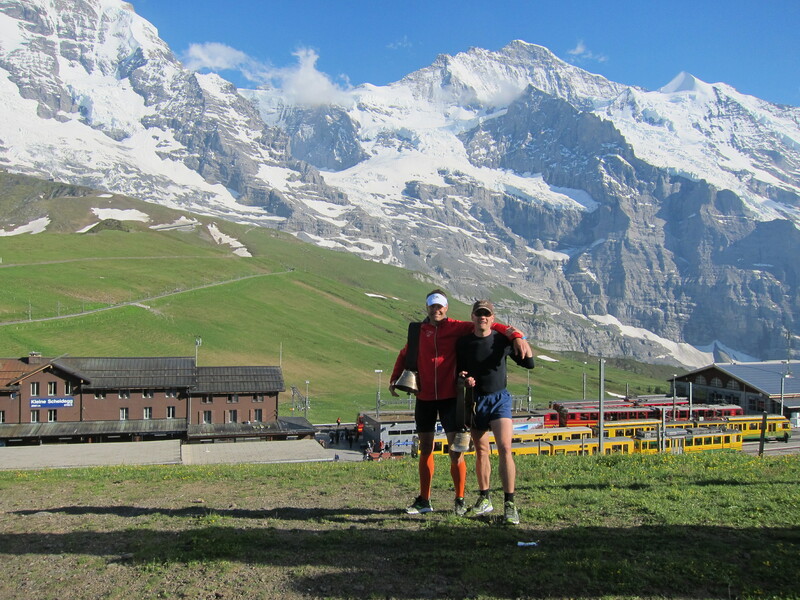 Soon I was at km 22, the last station before Grindelwald, where the really steep part begins and Stefan would join me. Among the top athletes, all except me had a support runner or biker along them during the whole run. 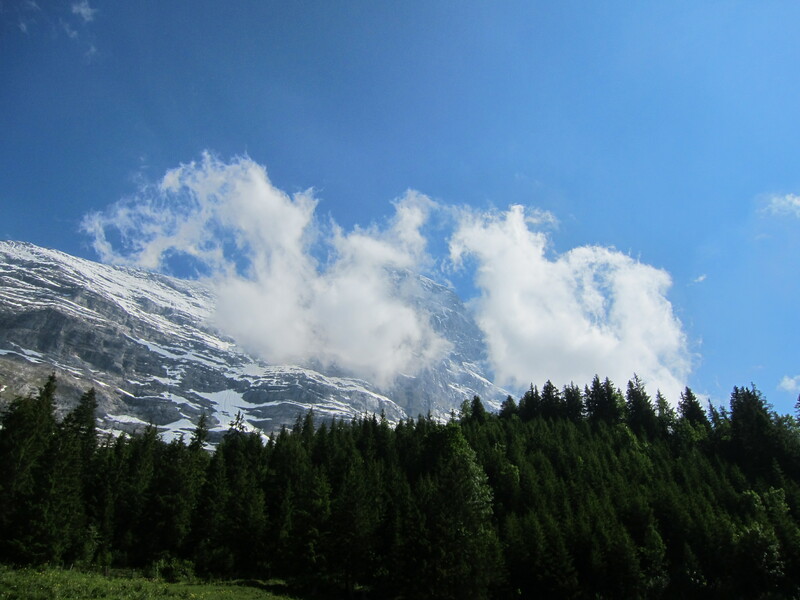 The bit from 22 up to Grindelwald wasn’t supposed to be so steep if you look at the diagrams. But that is just in comparison with the final part. In reality it is so steep that also this part is difficult to run properly, so I had to powerwalk long parts of this. All of the sudden I felt very dizzy, and I realized that I had become very low on energy. I had had some stomach problems during the last hour and hadn’t been able to get anything in. Now it was critical, but I managed to force down some salt tablets, some gel and the last of my energy drink. It was a close one, but I recovered after 20 minutes or so, just when I reached Grindelwald. 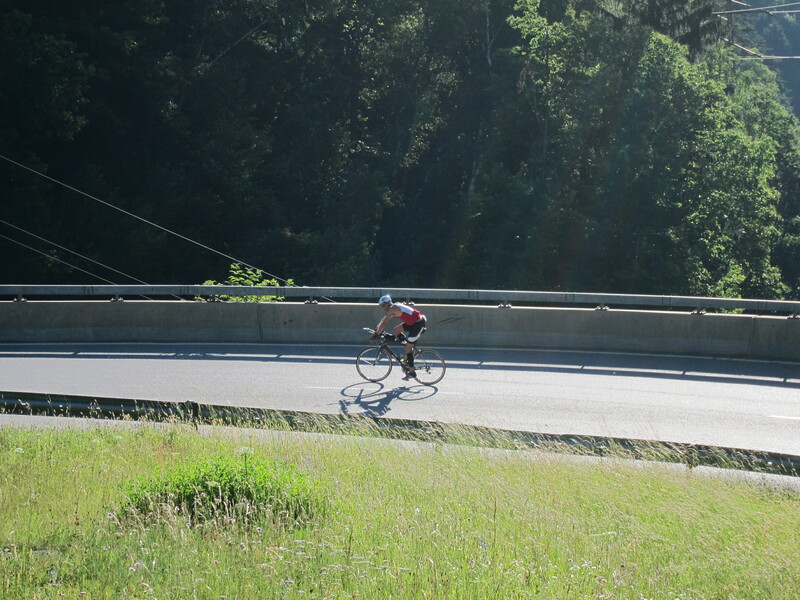 During this part, I had passed a guy (one of the very fast bikers) that was completely gone. I cheered him when I passed him, but he was not responding. He actually had 2 support runners, on the part where no support was mandatory. 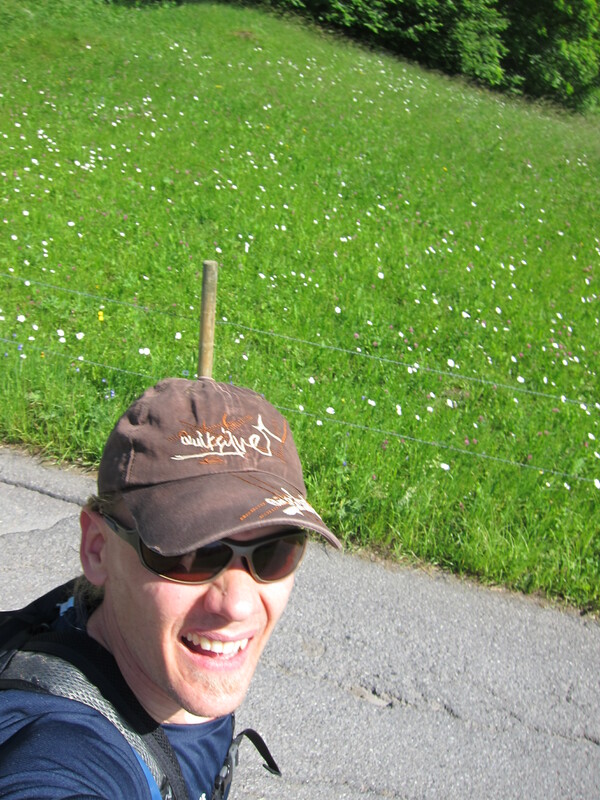 Anyway I came to Grindelwald for the last 9 k of very very steep hillwalking. Here I met Stefan, and I got my inspected backpack with mandatory stuff. There was one guy just in front of me , but we powered on quite well, and despite the fact that I (or anybody else for that sake…) could run only small parts of this 9 k hill with 1100 height meters, we swiftly left that guy behind. At the only station on the way up, we confirmed that we were team four. It felt stable, but I couldn’t increase the speed. I believe we were quite effective, in this part. Big biker=Bad runner I thought. I had to fight my cramps. When it became too steep I had cramps in the front of my lower legs. When I was going to hard, I had cramps in my chest. At all other times I had crams either in my thighs or my calves. 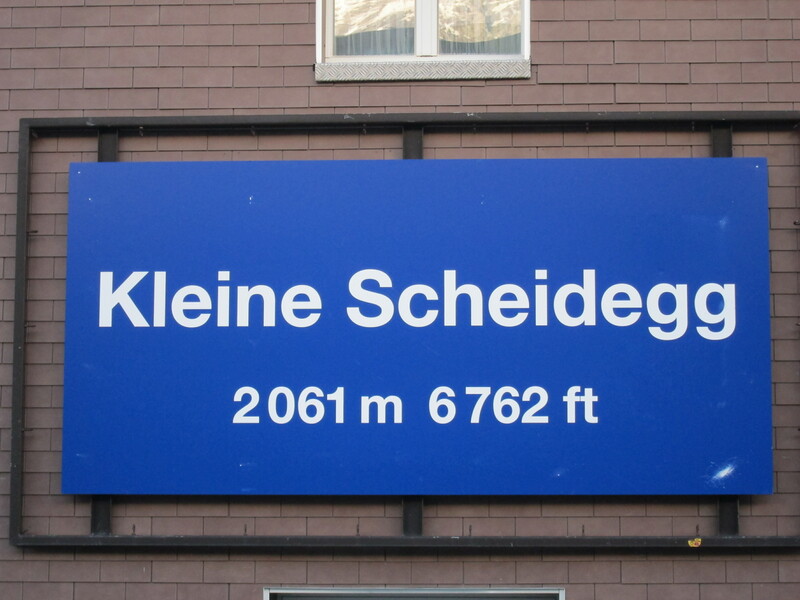 Eventually we saw Kleine Scheidegg, 2100 meters over sea level. It was still a long way to go, but we kept going steadily. 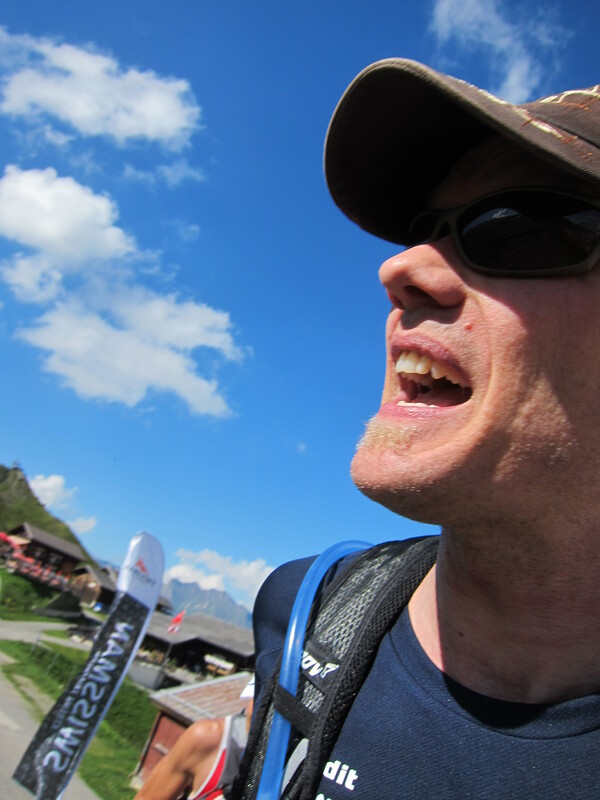 We approached the finish line, and Stefan the ultrarunner wouldn’t accept anything but running the last 200 meters. He had been going on and on about “com’on just run this short part, to the next tree” and so on. At this time I was really really fed up with him. This means he had done his job just perfect, trying to push be beyond limits. But it wasn’t the stamina that kept me from going even faster, it was my cramps. So we ran the last meters on will. 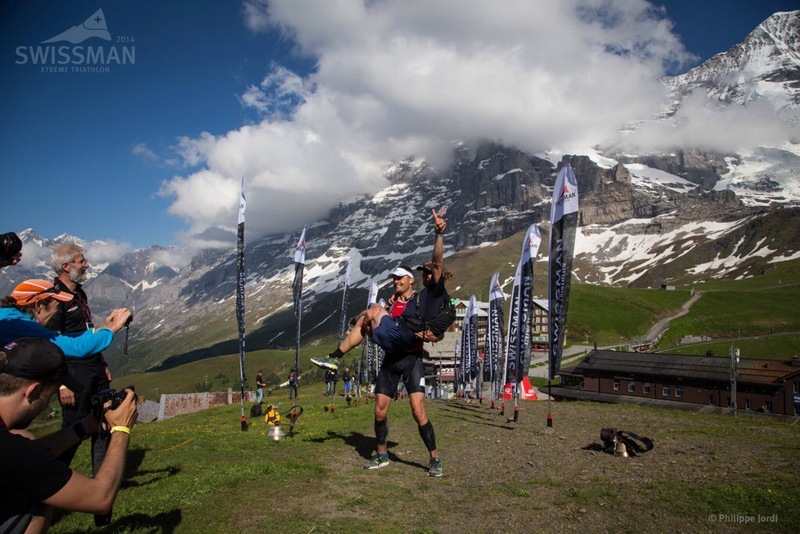 Finishing such a race is always very touching for me – struggling so hard in training and for the full day, and it is a fantastic relief to finish – and even bigger if you accomplish what you’ve set out. I finished in 12 hours 30 minutes. That is 40 minutes behind the winner, but only 14 and 15 minutes behind the #2 and #3. Now I deserve some rest, but I feel quite OK in my body, unlike last year in Celtman where I broke my foot. That is good, as I have only 40 days until next challenge, Norseman Extreme triathlon. I shall thank first and foremost my very forgiving wife who lets me do all the crazy event. 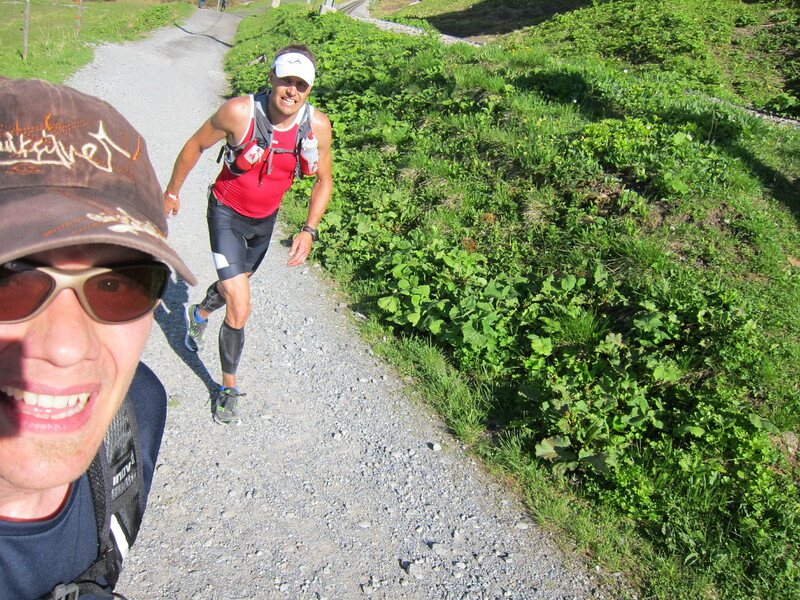 My friends that come along to these challenges, and last but not leas, my new friend and Supporter Stefan the Ultrarunner! Powerwal, but not Nordic Walking! Ok, I dont run. But noone did! This entry was posted in Uncategorized on 2014/06/24 by tridurance. Congratulations!! 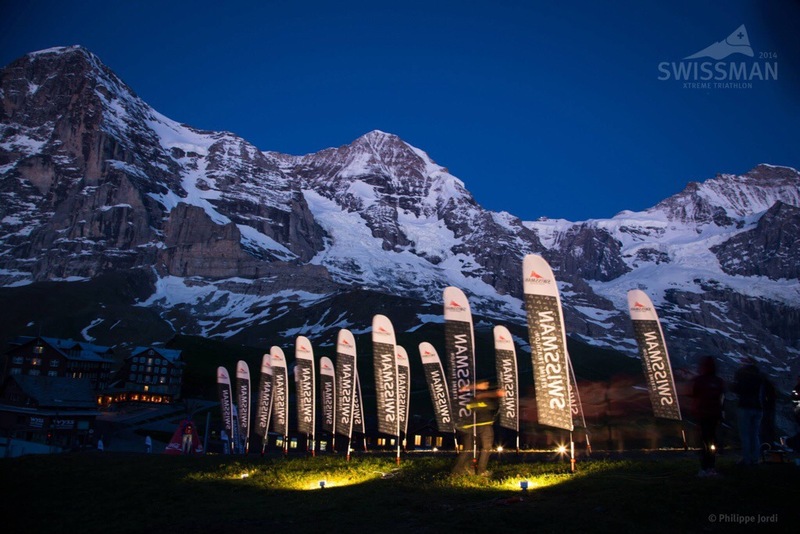 Thanks for a great and inspiring race report – truly breathtaking pictures! Thank you Peter, and thank you Martin. and thanks for making this Epic condition possible! Congratulations on your race result as well as putting together a brilliant report! 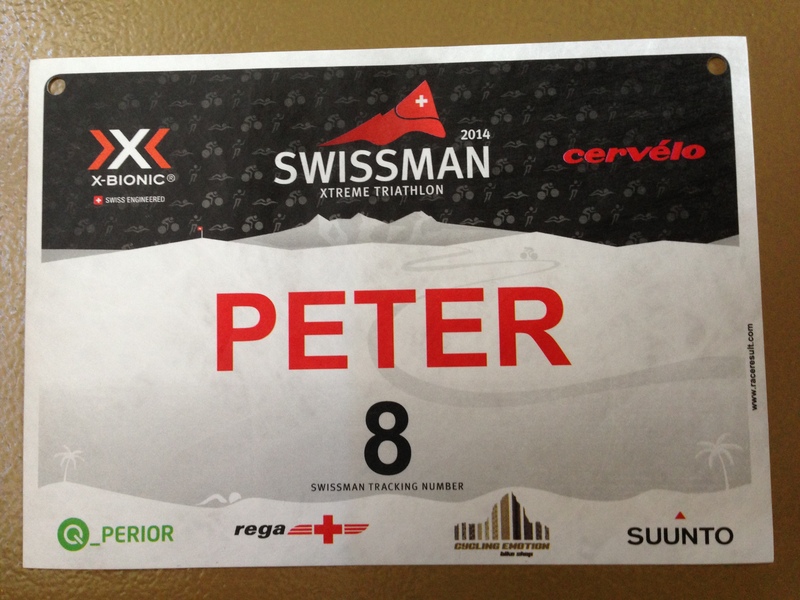 I’m lucky enough to have a slot for the 2015 Swissman and would like your advice on accommodation. There will be myself and a 2 person crew so any suggestions would be greatly appreciated. The biking is HARD. be prepared for the uphills, mentally and physically. I got cramps on the second one, which lasted during the whole day. 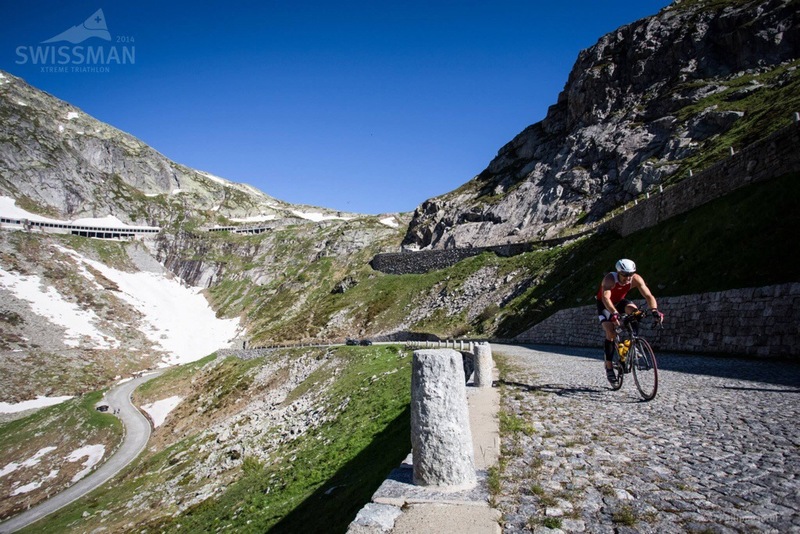 If you can do the St Gotthard biking over Tremola as preparation – do it. Swim is no worries. Very easy. Road bike is a good advice rather than aero. the switchbacks on the downhill biking is very very fast and can be very dangerous. If you can get training on this, that is also a good advice. 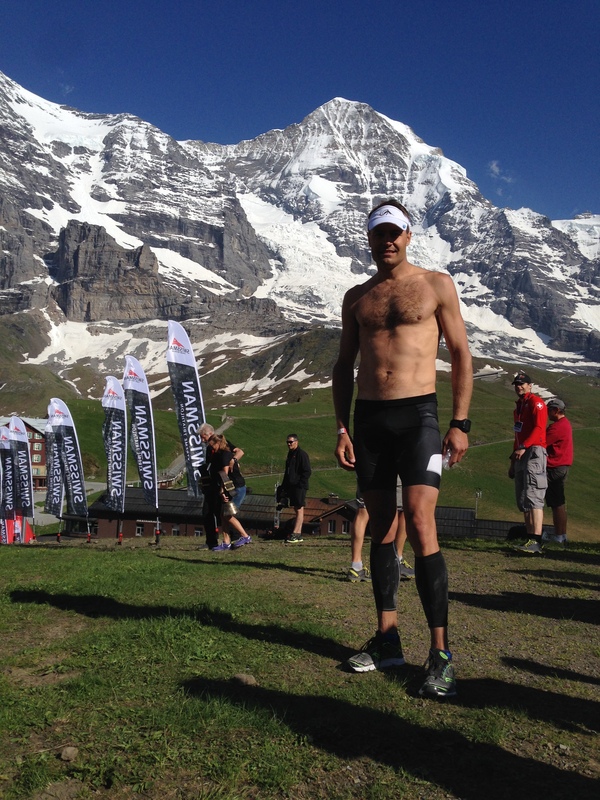 The run SEEMS to be flat until grindelwald. It is not. Be prepared that it is hard also to grindelwald. After that it is essentially a hard power walk. 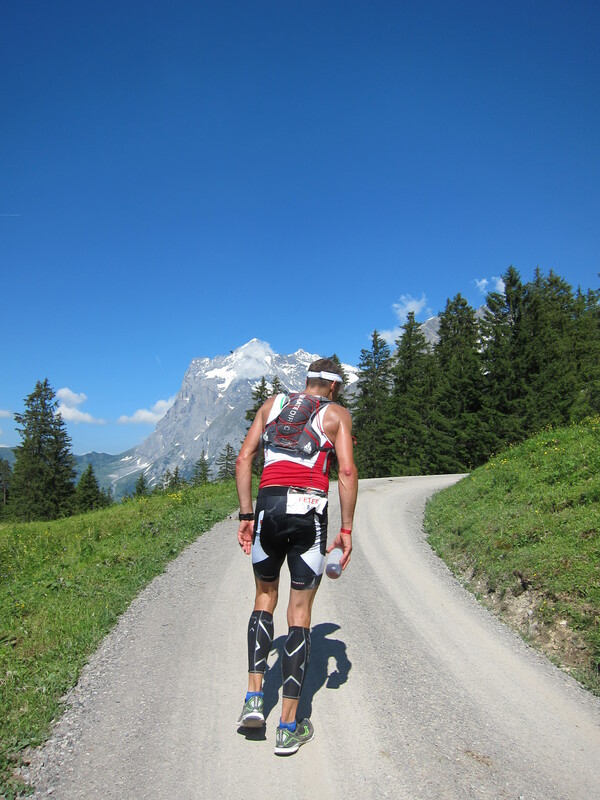 it is very easy terrain, but as it is so steep it is difficult to run. 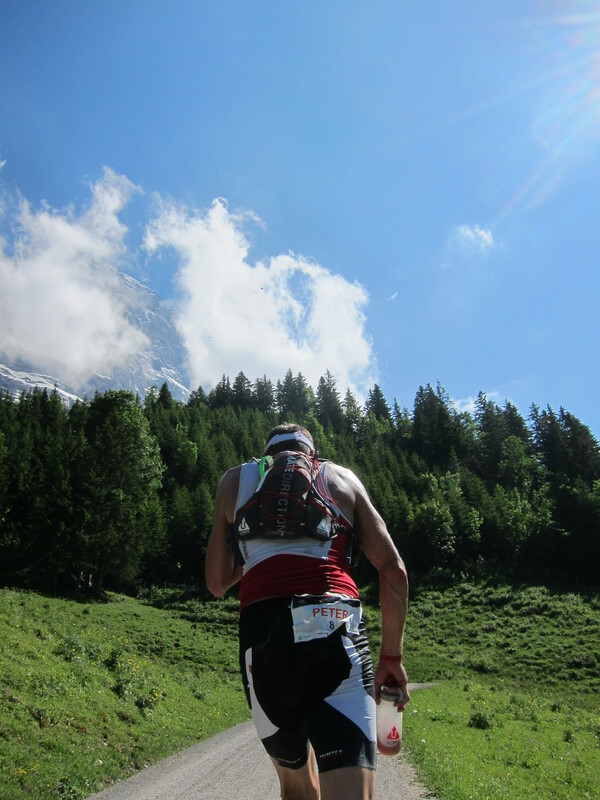 So if you want to take positions on the run, be strong undulate grindelwald, and have a strong powerwalk up to the goal. But again – it is the bike leg that is important in this race. supporters – it can be very difficult to find the support stations. STUDY THE MAP THOROUGHLY. My mate got his first support after 90 km on the bike AND HAD TO WAIT 30 MINS in T2 due to delay of the support crew (they didn’t know where to go…). It can be a challenge to get the right clothes – very warm on the uphills, but when you go 70-85 km/h downhill on 2400 meters above sea level the chill factor is strong. I never took any more clothes on, but instead got away with only arm warmers that I took on. I became cold, but is was manageable for me. Most people take on a wind jacket, but that takes valuable time … 🙂 Supporters on the mountain passes (bike) should be prepared for everything you need. Maybe one can come down and meet you 100 meters down, ask what you want and shout (while runnning beside you) to the other who can get together what you want? 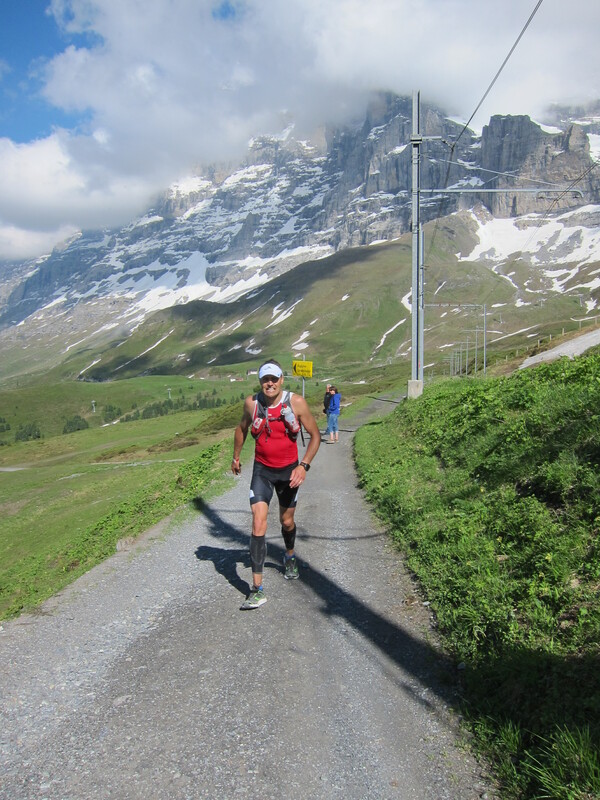 2 supporters – maybe you want a fast pacer on the run until Grindelwald, and then change to the second one for the power walk. The run until grindelwald is very runnable, and you can take many positions here. remember that many of the german, swiss and italian guys are super strong on the bike but lack the running stamina. Ambitions? Finish! I really just want to do my training justice and have a strong race. To give it my all and cross the line with no regrets and therefore getting rid of this “never feeling satisfied” itch!!! I live on the edge of dartmoor in Devon so I have plenty of hills to train on. 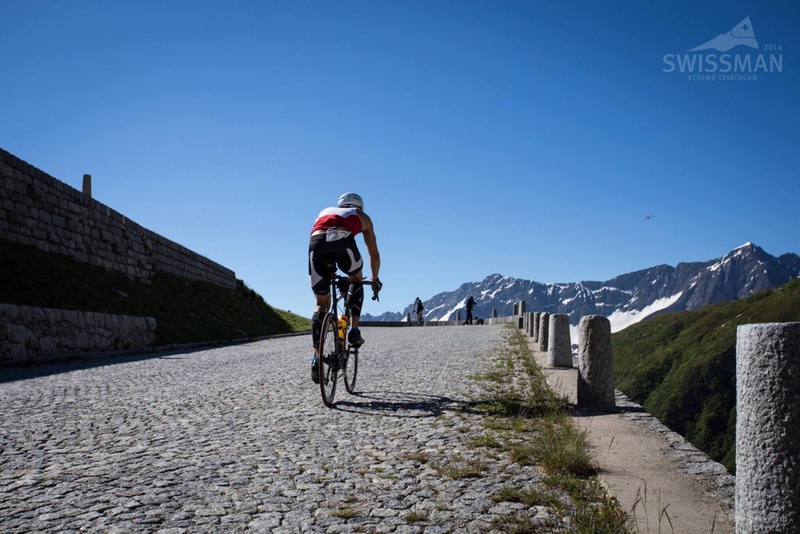 Obviously not the length of any alpine passes but enough to build up a set of strong legs. Thanks again for your wise worlds I think I have a good idea of what I need to do! I rode IM FRANCE on my tri bike so I have no experience on the long hills on a road bike. I’m currently using 50/34 up front and 11-28 on the back. I like hills but do you think I should change to a 12-30 to save my legs for the run even though that will lose me speed on the downhill and flats? 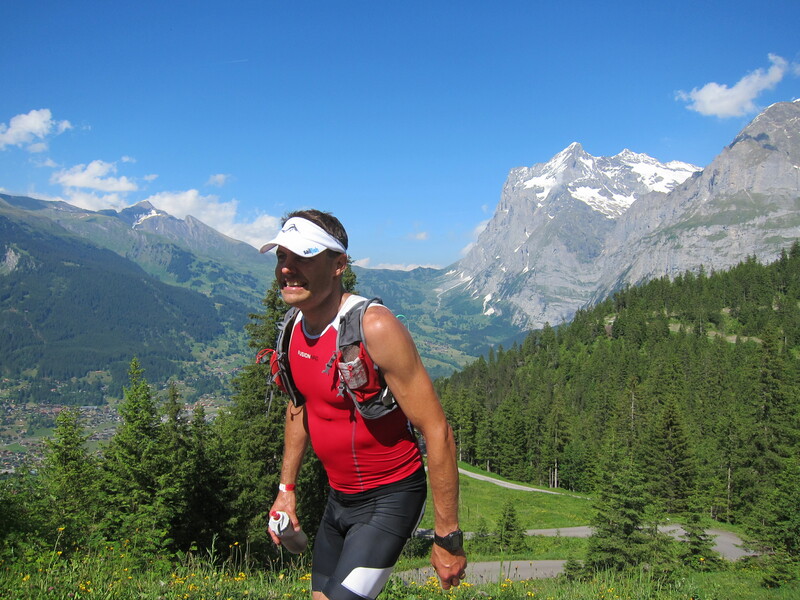 Thanks for this blog, this race scares and excites me at the same time. 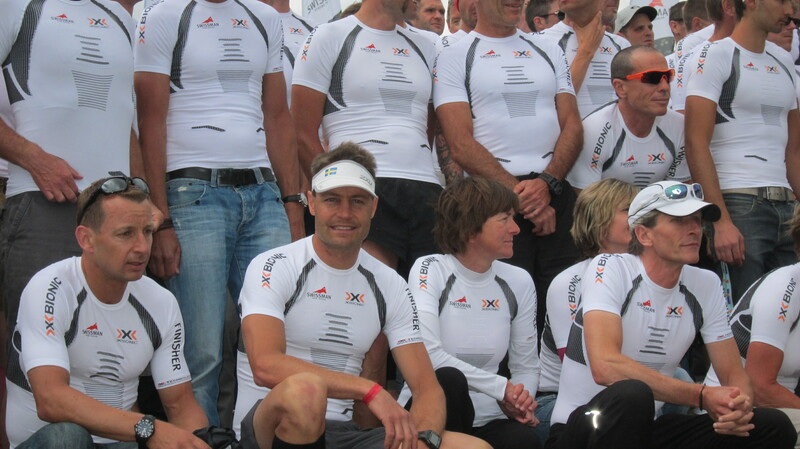 Also got an entry (1 previous IM finish under the belt Copenhagen 2013 in 11hrs) so just want to finish. 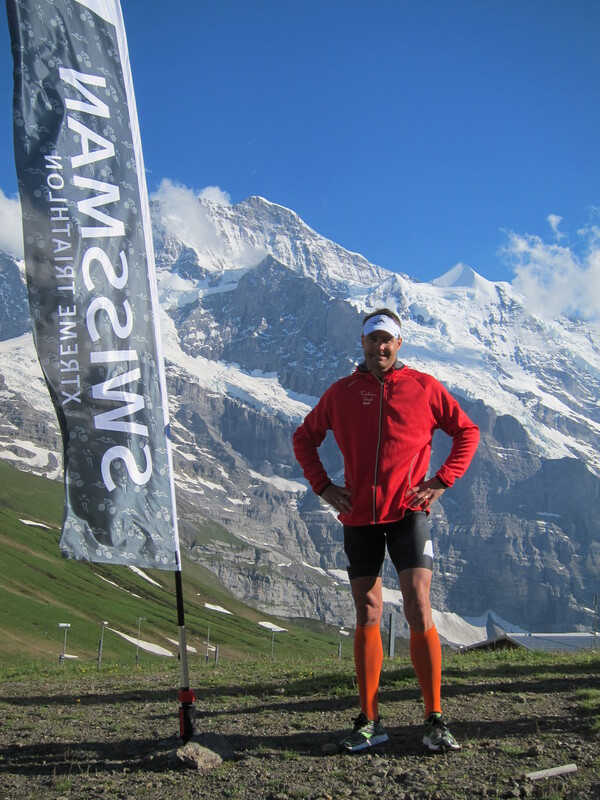 Hi, thanks for posting about your experience of Swissman, and congratulations on such a strong finish. Im hoping to take part in 2016 and was wondering what bike you would recommend. Im about to buy a new one, and was wondering should I go for a cyclocross / road bike (with disc brakes) and clip on aeros, or a full TT bike ? thanks. but this post was from 2014. For the swissman you need a road bike with light wheels and clip ons. not a cyclocross, as it is too short in its design. 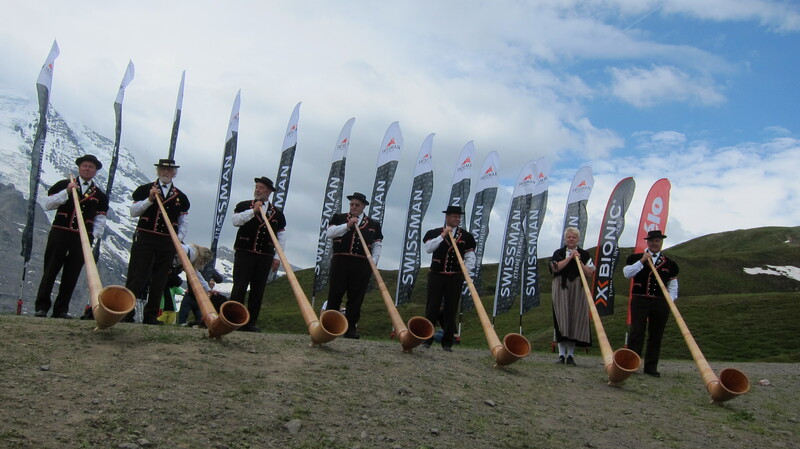 A TT bike would not be beneficial at swissman. but if you would do Celtman I would recommend a TT bike. Norseman would be a TT bike, but you could do it with a road bike and clip ons.